Eureka! Eureka, I tell you! I finally figured it out. This is as close as I can get to my Nana’s potato pancakes without having her little red recipe book! It’s been a long time since I had my nana’s potato pancakes, but this is how I remember them. Are you wondering about my grandmother’s red recipe book? I wrote about it when I posted her apple pancakes recipe. I’ve mentioned before that my grandmother, Bena, lived downstairs from us in our two-family house. Well, every once in a while she used to put out a pancake spread for our family. For dinner. It was one of the highlights of my childhood. I know, funny that one of the highlights centers around food. But I think about food a lot. My whole family does. Anyway, Nana used to make apple pancakes, plain pancakes and these glorious potato pancakes. Bena was German and made a lot of German foods. I never knew that other people also ate potato pancakes because back then, we didn’t have the internet and my friends had never heard of them. So yeah, hordes of peeps make German potato pancakes. I’ve seen the recipes online, although my grandmother never used onions in hers. As with the apple pancakes, I don’t have her original recipe, which was lost after she died. I had to figure it out for myself. I’ve tried to replicate her pancakes many times. I did not try every week. Or every month. In fact, sometimes years would go by I’d attempt them because I kept feeling like I couldn’t do it. I couldn’t replicate her glorious pancakes, whether they were apple or potato. When we were having Bena’s pancakes, we would know ahead of time and the anticipation of this meal would make us giddy. Well, at least it made me giddy. Not sure how everyone else felt about it. We would help her by peeling the potatoes or the apples. We’d set the table with a white table cloth and her good china. It made this pancake meal feel so special! Can you feel me? Here are the various things we used to put on the pancakes: maple syrup (naturally), grape jelly, stewed tomatoes and creamed corn, which is a glurg item for me. I like corn but I do not like sweetened corn. It’s not that I never tried creamed corn on my pancakes. I did. I just couldn’t get past the taste. So, I stayed away. Just like I stay away from corn chowder. Glurg! We have some large russet potatoes, an egg, flour and salt. Four ingredients, isn’t that fun? First, I start by peeling two of the potatoes. I wasn’t sure how many potatoes I needed, but two were enough because they are large. Next, I cut the potatoes in pieces so I can fit them in the food processor. I turn the processor on high and let it run for 2 minutes, so the potato is all pulverized. Although I didn’t measure the potatoes but I’d say that it was 2 1/2 to 3 cups. Next, I scrape the potatoes into a mixing bowl, add 1/2 cup flour, 1/2 teaspoon salt, an egg and mix them all together. You’ve probably grated potatoes before. 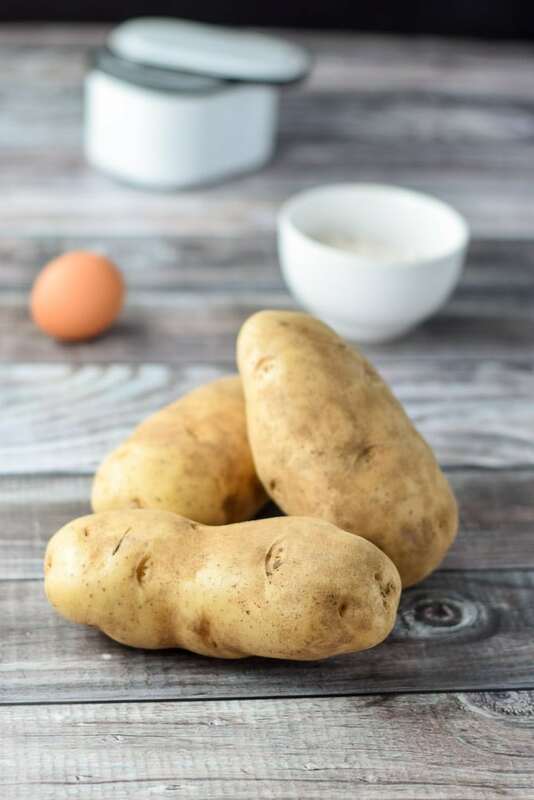 If so, you will have noticed that the potato oxidizes, which means it turns a little reddish in color. Now, the funny thing is, when you cook the potato pancakes, they turn greenish. I have no idea why! Do you know why? Let me know in a comment. I take my sauté pan and heat it on medium heat. I add 2 tablespoons of olive oil and let the oil heat up as well. Then, I grab my smallish ladle and place 4 dollops of potato pancake batter into the oil. I also use the bowl of the ladle and flatten the dollop somewhat. I let the potato pancakes cook 3 minutes before I flip them over and cook them for 3 minutes. Once they are done, I place them on a plate and put a little butter on each potato pancake. I continue cooking the potato pancakes until all the batter is done. This recipe makes 16 potato pancakes. Here they all are stacked on a plate. Now just for fun, I’m going to stack eight of these beauties on a plate together. Okay, I feel like a piggy so I put four of them back. Since I don’t have my lovely assistant to help me do an action pour, I pour the maple syrup on my potato pancakes before I take the photo. I can’t wait to eat these. Let me cut into my potato pancakes. I can’t talk anymore, I have to eat now. But before I do, I hope you enjoyed this recipe. 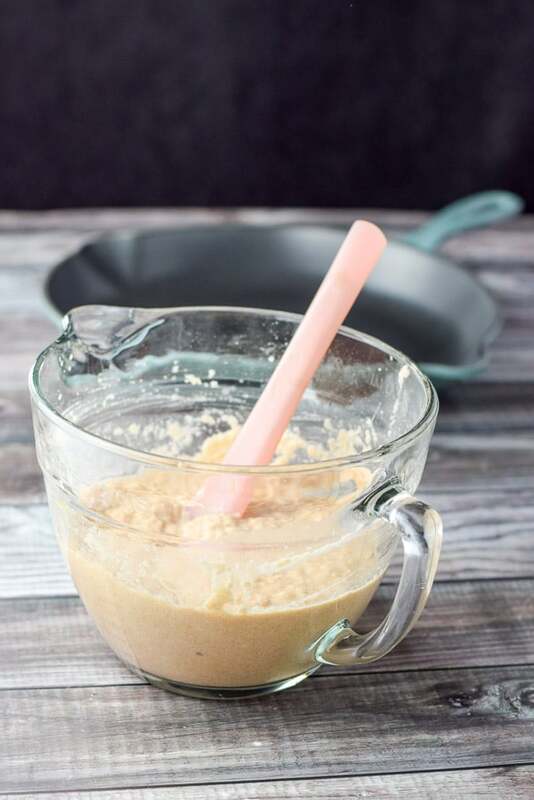 Please leave me a comment, let me know what kind of pancakes are your favorites! I’d love to know. 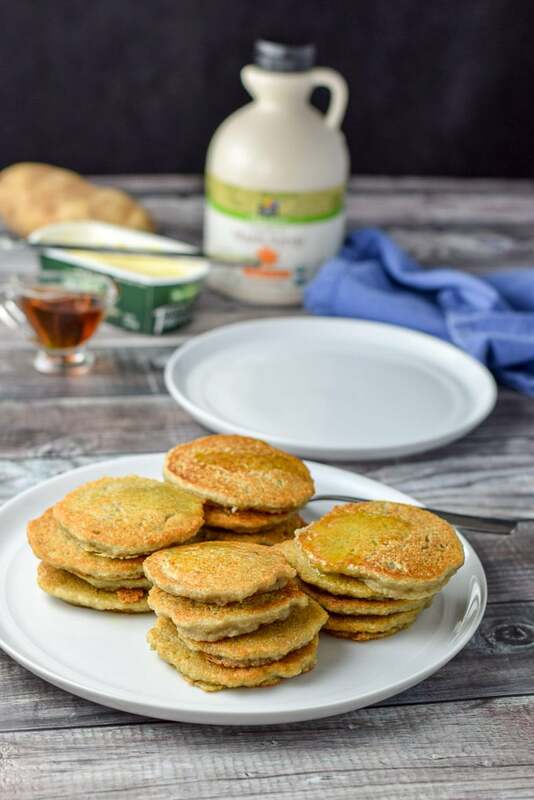 If you’ve tried this potato pancakes or any other recipe on the blog, I’d love the hear what you thought about it in the comments below. I love hearing from you! You can also FOLLOW ME on FACEBOOK, TWITTER, INSTAGRAM and PINTEREST to see more of my delicious food and delightful cocktails! 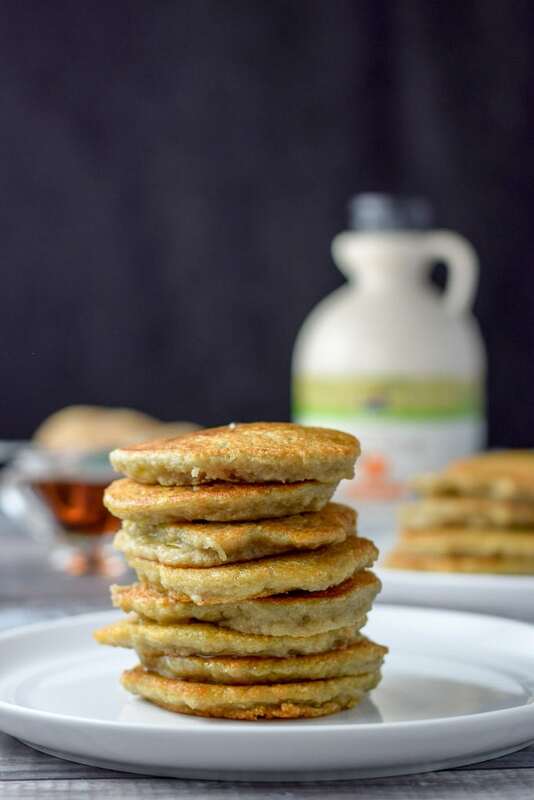 These potato pancakes are so delicious and easy to make! They are comfort food for me. Calories and nutritional do not include the maple syrup you will put on the pancakes! 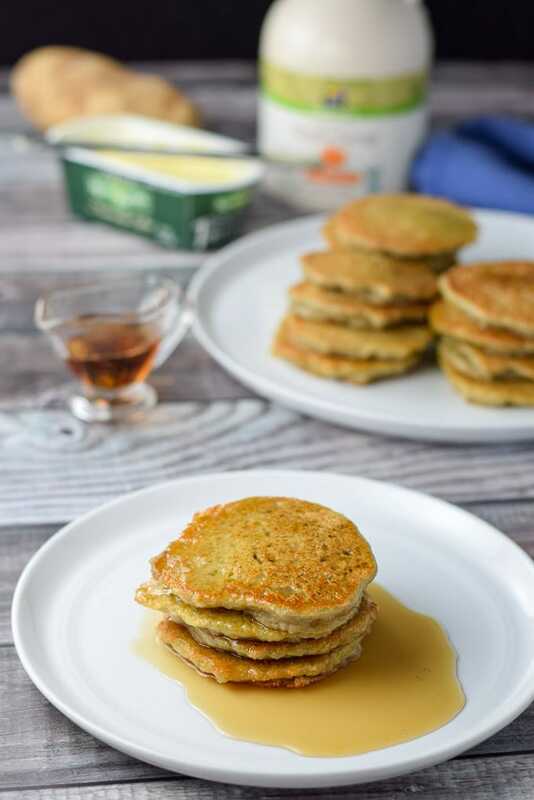 Never tried potato pancakes! Now, I must! They are so good Suzy! I love family meals that are about recipes of loved ones. My Dad had compiled all of the family recipes for years, so were lucky we don’t have to recreate them. 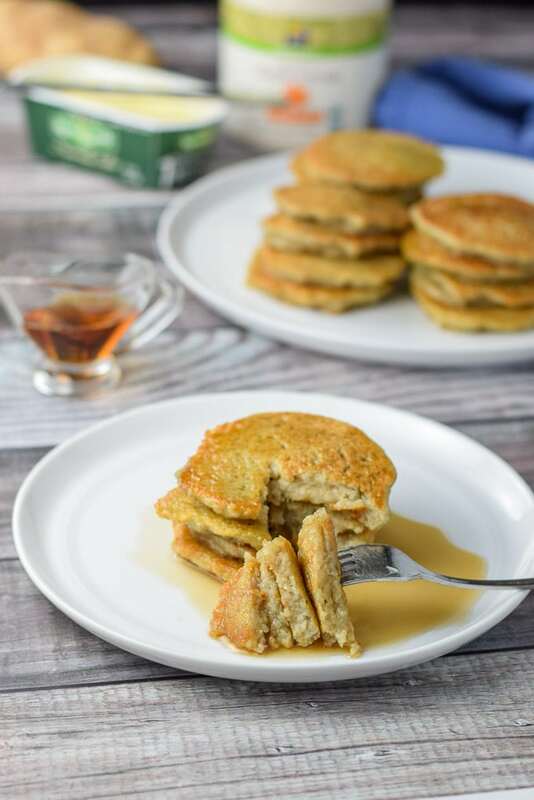 One of our recipes is for potato pancakes too… ours didn’t have any starch in it, but it makes me want to give this a try to see how it affects the texture! They look so good! Thank you Michele! That’s fun with no starch, I’ll have to check your site to see the difference! Thank you for the comment! I love potato pancakes!!! I love with sour cream and we eat with applesauce!! This are fab! Deanna, I can imagine sour cream would be delish! I can’t remember if my family ate it like that. I’m feeling yes. 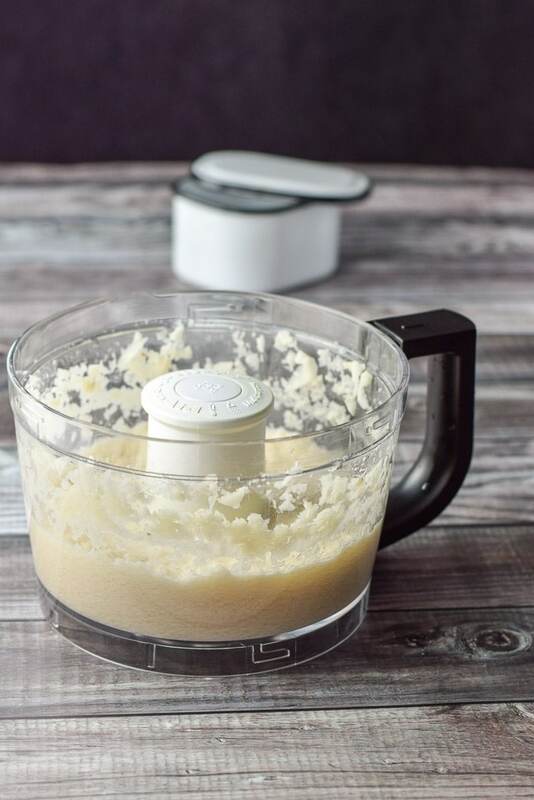 I haven’t thought of using my food processor for potato pancakes. Great idea and thanks! Thank you Ginny! Makes it easier than grating it by hand, that’s for sure. Recreating those “treasured” recipes can be a challenge. I have tried several times with a few from my mom, and failed miserably. When you do have “success” it is such a great feeling. I love potato pancakes, and it certainly looks like your Nana knew what she was doing. 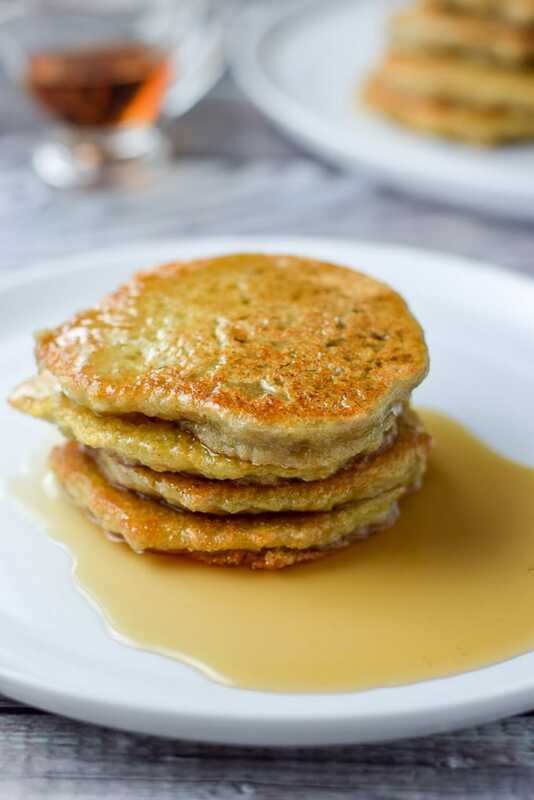 Love the flavor and texture of these pancakes. Really satisfying.